Inner Circle Ent. Presents The Comeback of Hector "Macho" Camacho Jr. and Ron "The American Dream" Johnson. 2 Championship fighters, 2 weight classes, one night! Hector "Macho" Camacho Jr. and Ron "The American Dream" Johnson make their return into the ring on May 28th, 2016 @ The CFE Arena. This is a tale of two fighters thousands of miles apart. These two fighters, in two different weight classes are both warriors; both were born to win and both are true champions. Hector “Macho” Camacho Jr., son of the late, great “Macho” Camacho is a self-taught fighter and a 3-time Golden Glove winner who served on the 1996 Olympic team with Floyd Mayweather Jr. He has 59 wins and 2 losses as an amateur, and 58 wins as a professional. Ron “The American Dream” Johnson, a Cleveland, Ohio Native, Pan American Game Gold Medalist with 110 wins as an amateur, WBF and WBC title holder as a professional and trains with Floyd Mayweather Sr. has the same vision in mind with one common goal… Reclamation! Reclamation is the act of returning something to a former but better state. Both Hector and Ron have faced tragedy and adversity throughout their lives and careers. Hector “Macho” Camacho Jr., lost his father, “Macho” Camacho 4 years ago in a tragic shooting in Puerto Rico. Ron Johnson suffered a career threatening injury that could have left him permanently blind in one eye. May 24, 2016 is the birthday of Hector “Macho” Camacho Sr. On June 12, 2016, he will also lead his fellow classmates at this year’s Boxing Hall of Fame inductee Ceremony in Canastota, NY. On May 28, 2016 in Orlando, Florida, the CFE Arena that seats 10,000 will surely be a place fit for a king, a warrior, and a true champion! 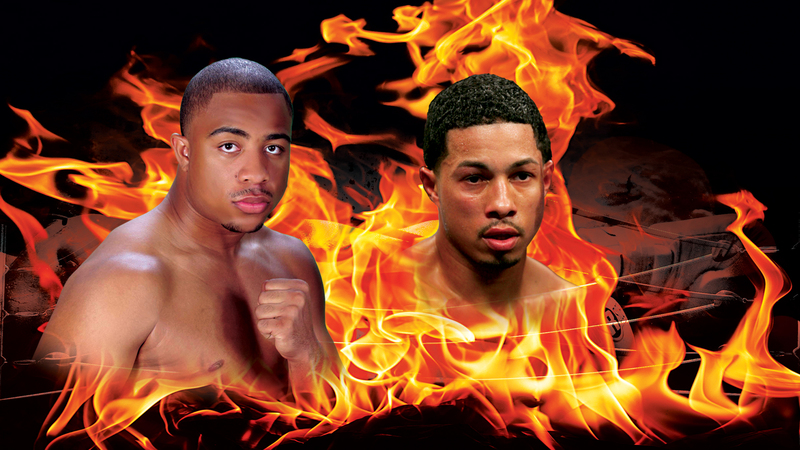 This will be both Hector “Macho” Camacho Jr. and Ron Johnson’s first time back in the ring in over 2 years. For both Hector and Ron, these two wins are not only important, but they have significance. They are a mere reminder of what greatness is when it falls into the right hands, or in this case, when one puts on the right pair of gloves. Hector “Macho” Camacho Jr. and Ron Johnson are active members in their respective communities. Both men are philanthropists and one is an author. Not only are these wins for the 2 fighters, but they are also for the loyal fans, the families of the fighters, for Cleveland, for Puerto Rico and for Macho! Men lie, numbers don’t, so on May 28th, both Hector and Ron will reclaim their throne! CFE ARENA 12777 GEMINI BLVD N.
Hector “Machito” Camacho Jr. is a Puerto Rican professional boxer, philanthropist and author. He was born in Puerto Rico, but raised in New York City. He is the son of the legendary boxer Hector “Macho” Camacho. Both Hector Camacho’s mother and father met at a young age in the gym and were professional boxers. His mother also played an intricate role in Hector Camacho Jr’s. becoming a professional fighter. 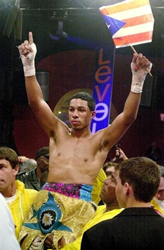 Hector Camacho Jr. is a self-taught fighter whose mother saw greatness in him at a young age. She purchased a book on boxing, a mirror, and a pair of boxing gloves. That was the spark that ignited young Hector’s victorious career. With 58 wins, 32 of which are knockouts, the right hand southpaw fighter vaporizes his opponents in the ring and continues to work his way up through the top ranks of the professional boxing world. In 2012, the death of his father Hector “Macho” Camacho sparked outrage in the Latin community. Hector “Machito” Camacho Jr. is the author of the 2015 book, Macho Dad. He is also an advocate and is dedicated to caring for Puerto Rico’s most vulnerable youth, inspiring positive development in their lives, families and communities that promote awareness. Cleveland’s own light heavy weight champion Ron “The American Dream” Johnson started his boxing career at the age of 7. At the age of 17, he was discovered by boxer Laila Ali, the daughter of the great Muhammad Ali. At 19 years old, he signed with NRAGE, a management company based in Philadelphia and started training with Floyd Mayweather Sr. His professional debut was on the same card as Winky Wright and Shane Mosley in Las Vegas at the Mandalay Bay Casino and Resort. In his first match he scored a 4th round TKO. He went on to win 9 more consecutive fights. In 2006 Ron Johnson became a free agent and signed a 5 year, 7 figure deal with a Houston based management firm called Kennyboy. Boxing Legend Oscar De La Hoya and legendary promoter Don King offered to sign him, and both offered substantial amounts of money, but Ron was happy with Kennyboy Management Company. Shortly after, Ron had an opportunity to sign a multi-year deal with promoter Murad Muhammad, who promoted Roy Jones Jr. and Evander Holyfield. This deal was worth millions to Ron Johnson, but he wasn’t sure if it was the right career move for him as he wanted to take control of his own career. Once he made his decision, he quickly enlisted help from a friend and set out to gain control by finding investors for his next fight. After investors saw him fight and witnessed a 3rd round knockout against Aaron Norwood, they promptly awarded capital to promote his next fight. This was the turning point for Johnson and a dream come true. Johnson said, “It’s my biggest accomplishment to date!” Mr. Johnson promoted his fight October 6, 2007, and he became the youngest light heavyweight Champion. He then started the foundation “Put down the guns, Pick up the gloves,” which is a foundation to help steer teens in the right direction in order to stop senseless violence. Since then, Mr. Johnson’s foundation has given away 3 homes to deserving families and has supported many programs dealing with at risk troubled teens.